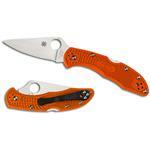 The Spyderco Delica 4 is one of their all-time classics, masterfully crafted with precise blades and ergonomic handles. 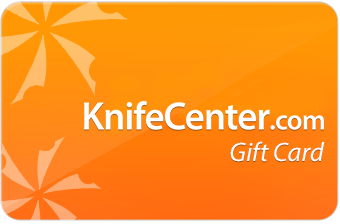 Engineered exclusively for KnifeCenter, this version is equipped with mahogany Pakkawood scales and a high performance tri-laminate HAP40 blade steel with SUS410 stainless outer layers. 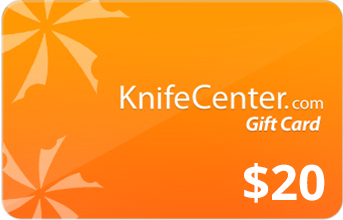 Not only does this knife look great, it is also built to perform! HAP40 is a PM-process high speed tool steel providing exceptional toughness and abrasion resistance… key qualities of a superior blade steel. To provide extra corrosion resistance, the HAP40 core is sandwiched by SUS410 stainless steel. The transition can be seen along the side of the blade, and things will only get better as you use the knife; the HAP40 layer will patina over time and provide striking contrast to the stainless layers. The Pakkawood material that makes up the scales combines the durability and stability of a phenolic laminate with the rich beauty of natural wood. Unlike natural wood, you won't have to worry so much about Pakkawood shrinking, expanding, or cracking. It is also much better suited to moisture than standard woods. Full stainless steel liners, backspacer, and lock back complete this durable little knife. A David Boye dent on the lock release makes it less susceptible to accidental disengagement. 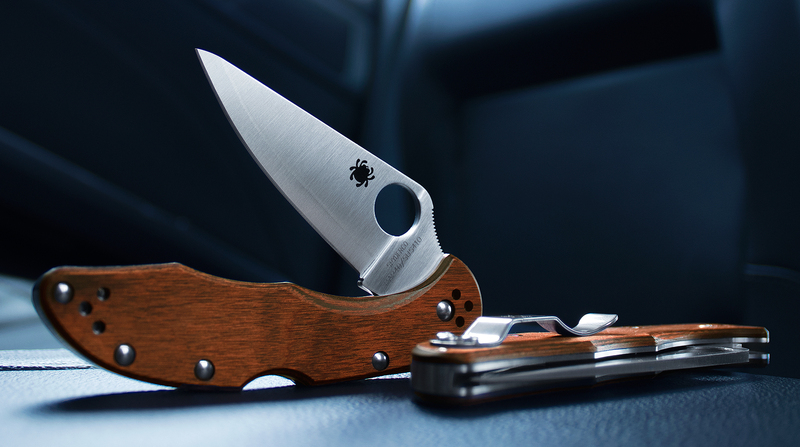 The Spyderco Delica is a classic for a reason. The slim handle still affords a full grip when open. An integrated thumb ramp with jimping affords the user excellent control when pressing the knife into hard work. 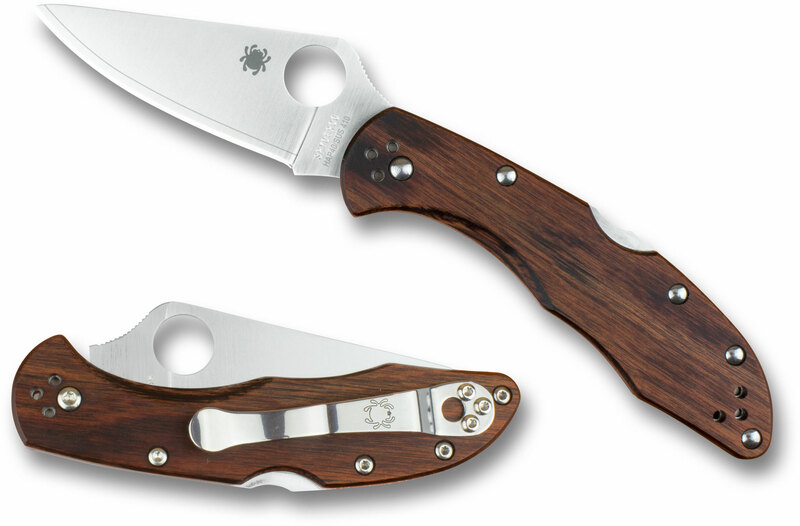 The satin finished blade rotates open easily thanks to Spyderco's signature opening hole. The Delica is an exceptional slicer thanks to its full flat grind, preferred by many for its cutting efficiency. 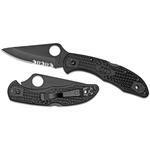 A fantastic option for EDC, this exclusive Spyderco also comes with an four-position stainless steel clip, allowing for a multitude of carry options. A remarkable expression of the Delica 4 design, this KnifeCenter Exclusive is sure to become a highly prized collector's item. 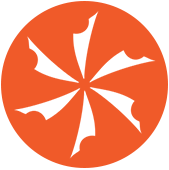 Provides a traditional, natural look and feel to a modern tool. Wood absorbs shock well and is popular in axe handles. Skip the FRN and get this one. Best one by far. 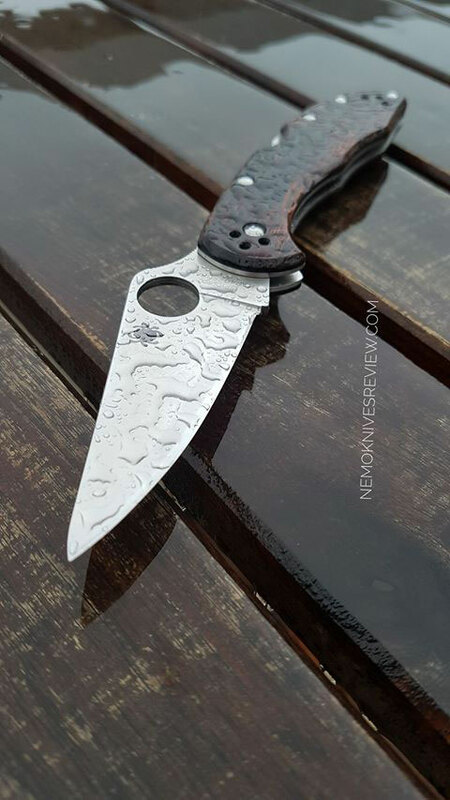 Definitely the most poorly finished spyderco. The hap40 made short work of cardboard, and the cardboard made short work of the finish on the 410 cladding. Speaking of, absolutely bad cladding line on one side.The action was super gritty/sandy/rough. Even with a clean out and forced break-in. I tore it down (screws werent even tight) and found poor finishing throughout.I used they grey and white sharpmaker stones to take the rough spots off the liner and mechanisms.Once all done, and reassembled, it's not as gritty, but still has the worst action of any knife ive owned-- including flea market stuff.But, that hap40 is nice, and it's an unobtrusive knife, so I still like it overall. 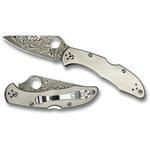 Hey, I wanted to share "Spyderco Delica Folding Knife 2.9 inch HAP40/SUS410 Satin Plain Blade, Mahogany Pakkawood Handles, KnifeCenter Exclusive" with you from KnifeCenter.